CrystalClear PondShock is an organic ball powered by billions of all natural, live bacterial and enzymes to rapidly break down ammonia, nitrites and organic waste. 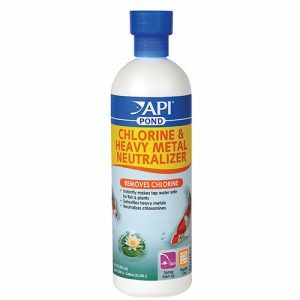 Great alternative to chemicals to clear your pond water! New Item! 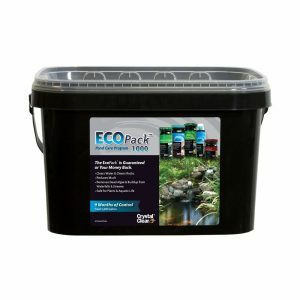 All Natural Bacteria and Enzymes for Crystal Clear and Healthy Water! Application Rate: 1 ball treats up to 2,500 gallons for up to 4 weeks. Simply toss in pond. 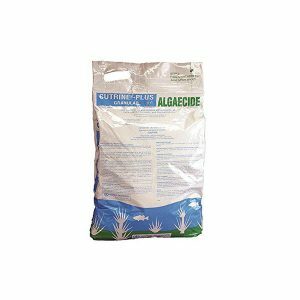 Start applying when water temperature is above 50 degrees F. Add once per month directly into pond. 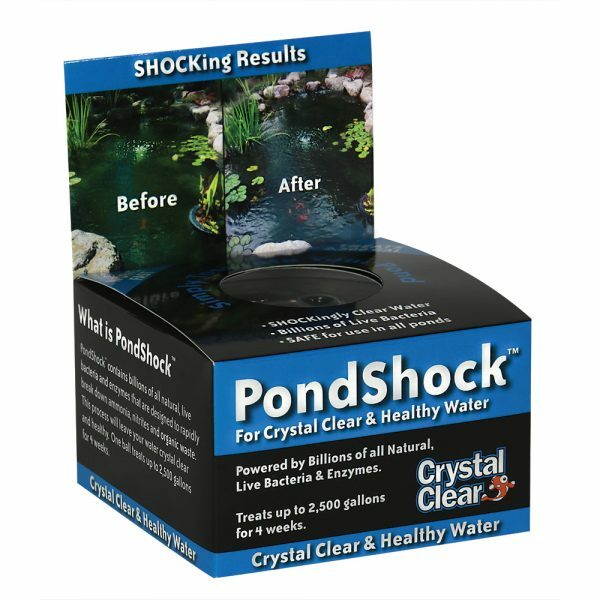 If a problem arises between routine applications, PondShock can be applied as needed. 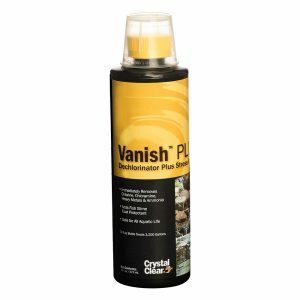 For Best Results: PondShock can be applied directly into pond water before new fish are added to the pond, during the spring to boost filtration or when water clarity issues arise. Optimal water temperature above 50 degrees F.